Lack of relevant information, particularly geospatial information, is one of the major challenges in emergency management. In the past few years, geospatial information created by volunteers and facilitated by social networks has become a promising data source in time-critical situations. This paper discusses the roles that social networks can play in the crowdsourcing of geospatial information for emergency management, data generation and dissemination through social networks, and investigates the relationships and interactions in social networks. Research issues arise in the areas of data access, data quality, information synthesis, emerging patterns of human behaviors in emergencies, analysis and visualization of nested social networks, implementation of information systems for emergency management, privacy, and equity. The increasing complexity of society and the intensity of the interactions between humans and their environment make us more vulnerable than ever to unexpected events. Recent disasters (e.g., Hurricane Katrina in 2005, the Wenchuan Earthquake in 2008, the Haiti and Chile Earthquakes in 2010) remind us again of the fact that we are far from being prepared for emergencies. In these disasters, the direct damage to society has been enormous in terms of death, injury, and property loss. The long-term economic impact, both domestically and internationally, is more difficult to estimate. Modern technologies, especially remote sensing and GIS, have been used to monitor the situation, to locate damaged areas, and to assess severity. Yet despite this, the full potential of geospatial data generation and dissemination mediated by information technology has not been fully realized in crisis situations (NRC, 2007). Geospatial information provided by governments is inadequate in emergencies because of cost and long production cycles, while massive volumes of imagery from satellites and aircraft may be more timely but are limited to phenomena that can be seen from above. In the past few years, an alternative source of data has emerged, created by citizen journalists who collect, report, and disseminate information. Such volunteered geographic information (VGI) (Goodchild, 2007) is created by amateurs using online mapping services over the Internet, such as OpenStreetMap (OSM) or Ushahidi. VGI has been proved useful in rapidly developing emergencies such as the recent Santa Barbara fires (Goodchild & Glennon, 2010), where the need for timeliness often outweighs concerns about accuracy. During the 2010 Haitian Earthquake, a mapping community was formed immediately by people all over the world, and geospatial data about Port-au-Prince were quickly generated using OSM, and used in the rescue effort. Social networks have proven critical in such situations, because they are able to mobilize the necessary volunteers; to provide the means to share tools; and to facilitate the loose kinds of dispersed organization that are needed to make the efforts of volunteers run smoothly. In this paper we outline some of the open questions that have arisen in this context and that together might form the basis for a research agenda aimed at improving our understanding of the role social networks can play in time-critical community mapping. The paper is based on discussions that occurred in December, 2010, at a specialist meeting organized by the Center for Spatial Studies of the University of California, Santa Barbara, on the topic of Spatio-Temporal Constraints on Social Networks. At the meeting over 40 specialists from around the world discussed the state of the art in this area, the topics that needed to be researched and appropriate priorities for each topic. 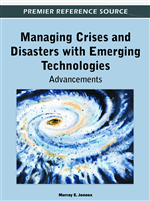 Although the meeting covered much broader ground, this paper focuses on the specific domain of emergency management, and summarizes the relevant discussion. Full details of the meeting, including the position papers prepared by the participants, the presentations made during the meeting, and reports of the various discussion groups, can be found at http://www.ncgia.ucsb.edu/projects/spatio-temporal/. The rest of this paper is organized as follows. The next section discusses pressing issues in the use of geospatial data and tools for emergency management. The following section then discusses the potential benefits of integrating studies on social networks into this context, followed by a series of research questions raised by this integration. The paper ends with some concluding remarks.